Rep. Devin Nunes: Paul Manafort Has Volunteered To Testify Before House Intel Committee On Ties To Russia - Joe.My.God. 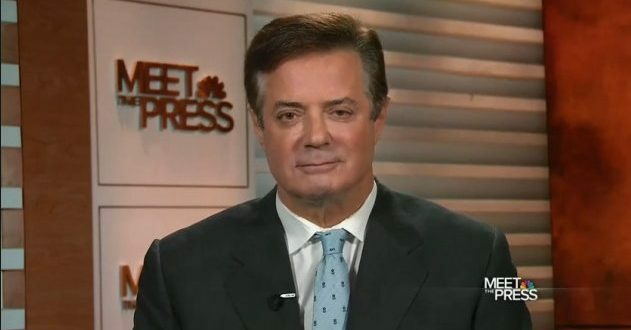 President Donald Trump’s former campaign chairman, Paul Manafort, has offered to testify before the House Intelligence Committee in its investigation of Russian meddling in the US election, committee chairman Devin Nunes announced Friday. Nunes said House investigators are still negotiating when Manafort will testify and whether he will testify in an open hearing or in a closed briefing. Nunes also announced that the committee is bringing in FBI Director James Comey and National Security Agency Director Mike Rogers for a second briefing, this time behind closed doors so that they can provide more information. The committee is also delaying its March 28 hearing. Nunes apologized to committee members Thursday, a day after he told the public and the President that communications of him and associates may have been collected by intelligence agencies before telling Democratic members of the committee.